The new home for discussion on the Super Radio Network, based primarily in regional and rural NSW and Queensland. Let’s kick it off with a well known opinion discussed time and time again here. Great people within the network at local station level but appalling management from the owner down who fire off the decrees to hire, fire and reduce local resources. Same could probably be said for SCA as well to a certain extent. But you’re right. From my limited observations, the quality of general local SRN/BOG programing seems alright, possibly even great in some instances. But the network programing (especially on the AM network) is just amateur hour for the most part! 2RE is the only BOG AM station I’ve heard that plays any decent music. Looking at their websites, as well as from my brief listenings to those stations, Max is the most CHR-skewed of the BOG FM stations, judging by its “Today’s Hottest Music” positioner, which is certainly the case during local programming (6am-6pm weekdays, 6am-12pm Saturdays). But when they’re taking networked programming at other times, it’s more ‘Hot AC’ skewed, playing music from the 80s, 90s & Today. Perhaps the potential strong competition from Star FM Port Mac into the Taree market made Max more younger-skewing. 2RE is local at 6-9am & 12-6pm on weekdays, as well as 6am-12pm on Saturdays. Their website has a page on the kind of music you would expect to hear on the station, which ranges from the 60s to today, with a special emphasis on the 70s & 80s. With that in mind, I would imagine that 2RE’s music is more ‘classic hits’ based than 2MC’s “Greatest Hits from the 80s to now” format, probably due to the fact that its main frequency is on AM, even though they have FM translators at Great Lakes on 100.3 & Gloucester on 100.1. Along with having strong fortitious reception of the SCA stations from Port Mac, the Taree radio market also has a good community radio station in 101.5 Great Lakes FM, based at Forster, which generally has a “Hits & Memories” format, particularly during weekdays. Can’t really comment too much on 2RE/Max FM because of my very limited experience listening to either station (without any online streaming or anything, all I’ve really managed to hear are snippets of the breakfast shows on each station while travelling North along the Pacific Highway last year) but I’d probably have to agree that Max FM is probably one of the more CHR-skewed stations in that network judging by the “Todays Hottest Music” and “Your Hit Music Station” slogans/positioners on their website and social media. Music format aside, I also get the impression (judging by their social media pages) that Max FM is possibly one of the better FM stations within the Super Radio Network by having a fair bit of involvement within the local community. Although I’ll let those who live in or visit the Manning Valley/Great Lakes more regularly confirm or deny that! Off topic, but that’s true. From the very little I’ve heard of 101.5 Great Lakes FM while travelling North or via recent tropo events (yes, I know they stream online too), it sounds very good for a community station! now if all their AM/gold stations did this and got rid of the useless “talkback” rubbish, they’d be on a winner. 2HD might even give 2NUR a bit of a run for its money. Sounds ideal, but don’t forget, we’re talking about Mr Bill “I Hate The Music” Caralis here (yes, I know his FM & DAB+ stations are music-based). So does that mean that 2TM has broken away from some/all Super Network programming, which is nearly all talkback? Their website doesn’t help, it still has the old country music guitar logo! Used to be able to post without identifying yourself. Now my post showed my name. Not happy. Oh well, it’s nice to see my media counterparts visit the site. You are able to select s username when you sign up. If you want/need to change it, let me know. 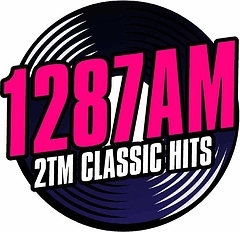 Currently up in the Mid North Coast & have noticed that Max FM Taree is currently off-air, whilst 2RE is on-air as normal. As of this morning, Max FM is back on-air, but at a reduced power. UPDATE: It’s now back to full-power. Up on the mid north coast over Easter and quite impressed with the playlist on Max FM. Yet another regional station that urinates all over the Sydney metros variety-wise. Shame it’s not available online. Radioinfo reports that Crocmedia would broadcast all Swans & Giants home games across the Super Radio Network, including 2SM in Sydney. Note: The Radioinfo article erroneously mentions 2WS (now known as WSFM & owned by ARN), where it’s supposed to be 2SM. 2SM have also been airing promos for these broadcasts. A good move considering 2UE isn’t using its 3AW connections for a commercial AM broadcast. As does the AFL NSW/ACT article it’s been ripped from. Surprised to see Bill actually put money into his stations.